54201 Queensborough Shelby Twp, MI. 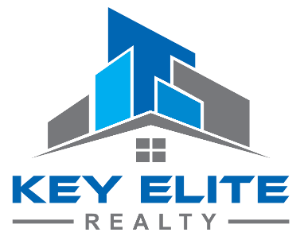 | MLS# 31370354 | Key Elite Realty | Macomb County Real Estate | Oakland County Real Estate | Call us at 586-286-1028 | Homes for Sale, Agents, Homes for sale in Macomb County. CAUTION-EXTREME WOW FACTOR causes Jaw Drops & eye Pops when walking through the front door!! STUNNING circular STAIRCASE, dual sided with wrought iron! Soaring ceilings & BEAUTIFUL HARDWOOD floors lead you to GREAT ROOM ( it really is great) with wet bar, completely open to Custom GOURMET Kitchen. GRANITE, stainless steel appliances, double oven, gas range stove, huge pantry + Butler&apos;s pantry=Eat your heart out Betty Crocker! If you don&apos;t already, then You&apos;ll want to work from home with your own private office boasting extensive cherry built-ins. It&apos;s Living Luxury in your spacious Master&apos;s retreat equipped with cathedral ceilings, HUGE his & her closets that Carrie Bradshaw would die for. Super long vanity with his & her sinks and large soaking tub w/sep shower. Get a load this lower level. MUCH too BEAUTIFUL to call a walkout basement. More like a second living space complete with kitchen, rec room, fireplace & bedroom. Windows Galore give it a Bright, Airy feel. THIS IS A MUST SEE!